What is my job anyway?!?! So… what is it you do exactly? I get this question all the time from people. I’m fairly confident even my family and most of my friends don’t know what my job entails. I thought I’d give you a little more information on my awesome WAHM (Work At Home Mom) job! I work as a Virtual Assistant (VA). Now, this is a pretty darn vague job title. Am I developing digital technology? Do I help with some sort virtual reality project? Maybe I’m helping people learn to use the Internet? Nope, it’s none of these things. In a nutshell, I am an office assistant, I get to do all my work from home and it’s online instead of going to an office every day. If you search for “Virtual Assistant” you’d find 10 completely different job descriptions for each job with that tile. A VA is a modern-day secretary or office manager. Since so many businesses are online, companies are using VAs to help out. It’s a flexible job for the VA as they can work when they want, whatever hours they want and from anywhere. Most companies hire VAs as an Independent Contractor so it is beneficial to the business as well. They don’t have to provide office space, equipment, employee benefits, etc to their VAs. Tasks a VA might do would be: answering phones, customer service, web design, customer management, client support, client acquisition and integration, coding, image design, blogging, social media management, creating and editing videos, newsletter writing, writing magazine articles, editing, data entry and management, managing accounts, and lots lots more. Basically, if it is something that can be done online to help a business thrive, a VA might be found doing it. Many VAs work with many clients at a time, some only work with one. In 2014 when the incredible store I was working for was going out of business I knew I needed a job. I love being with my child and was able to be able to bring him to work with me for several years. Yet, I know that my personality would never do well being a 100% stay-at-home Mama. I knew that I needed something for me to do and a way to earn some income. My friend Reb over at A Humble Place is a VA and I first learned about it from her. I also knew another gal who was a VA. When I first started suspecting the store might close, I asked them a lot of questions. I decided it was something I would enjoy doing. A lot of the tasks a VA does were things I was already doing for the store. Plus I knew it would be a good creative outlet for me. When the store closed I went on unemployment initially and tried to find another job I bring my son to. Ha! Those basically don’t exist. The rule for unemployment was to do job searches every week (I think it was 10 per week?? Maybe 5, it’s been a while, I don’t remember). After I had exhausted all my options for a job I could go to, I started thinking about VA jobs. My family prefers to support small businesses as much as possible. I went througt my apartment and started writing down brand names of businesses whose products we used. I was also connected to many companies through my old job so I began reaching out to professional contacts as well. Out of over 100 companies I reached out to about 20 already had VAs, about half weren’t interested in a VA, some never got back to me, some asked for a resume and didn’t think I was a good fit, 3 companies were interested! After very brief interviews with all 3 I got to work! I made the difficult choice to only work with one company in the fall. It was definitely the right decision for me. I took a couple months of super mellow minimal work and then jumped in working a lot this year. I’m working more now than I ever have before but I am much more balanced knowing it’s only with one company. In a typical week I work 10-15 hours, sometimes I work as much as 20-25 hours a week. This doesn’t seem like a lot… however, with cooking all my food from scratch, managing a blog and restoring an Airstream sometimes I hardly find the time to work! Primarily I create content- blogs, newsletters, social media posts, images for Instagram & Pinterest, etc. I also schedule and create all sales and special promotions as well as do some basic advertisements and handle a limited amount of customer service. It’s awesome and I love it. I wish that I had more hours in my day so I could work more, that’s how much I enjoy it. How many people can say that about their jobs?!? My goal is to build this blog to be our primary source of income. I love being a VA so much that I want to keep it up as long as I possibly can! Maybe some day I’ll hire my own VAs?! The best part of being a VA is how flexible it is. So long as my blogs get published on time and newsletters get scheduled, there’s not much of a time frame. I may work for 15 minutes between breakfast and my morning errands, an hour before lunch and a couple hours while my kid is at school. I can hop on and check in with the company’s social media accounts while I’m out of town or running errands so nothing gets overlooked. If I have an extra few minutes I create an image or update a blog post. We traveled all summer and I worked from my motel room at Disneyland, on vacation in Park City, and from the farm we lived on this summer. We wouldn’t be able to take so many trips if I had a regular retail job, that’s for sure! I love the ability to work around my family’s schedule and not feel like I have to “get to work” at a certain time. My schedule changes daily and I love the flexibility it allows me to be home with my son and still contribute towards getting out of debt. I am able to create projects and work as much or as little as I want. It has been the perfect job for me as I’ve recovered from mono and been healing my autoimmune diseases. It also provided our family with some sort of a job while my hubby was unemployed. You Want to Be a VA? Reach out to brands you already have a connection with. (A lot of the VA jobs listed on Craigslist are scams so I would avoid those) Do you order shampoo from a company that you love- see if they need some help? Or shoot an email to the farm you always shop with at the Farmer’s Market. Sometimes smaller, local brands need a little bit of help every now and then so you might get a few people who need help with special projects. If you are not computer literate this is not the job for you. You WILL need to learn new computer tasks! I’ve done a lot of on-the-job learning and one of the clients I worked with last year put me through Facebook and Pinterest classes. There are lots of great resources out there but know you’ll be using a lot of your own time to learn the necessary skills, this isn’t something most clients will pay for. Determine childcare. Yes, this is a work-from-home job. You still need to figure out what your kids will DO while you work. If you’re writing or doing videos you’ll need uninterrupted time to work. I work while my hubby is home & when my kid is at school. A lot of VAs work after their children have gone to bed, I don’t suggest this because it’s rough on your adrenals. Do some research. Read up on VAs, join some VA Facebook groups, read The Boostrap VA (I devoured this when I was trying to get hired) and familiarize yourself with what VAs do. Take a leap of faith and jump in! It never hurts to reach out, the worst that will happen is a company will tell you they’re not interested. Shoot me a message or leave me a comment. I offer consulting, help determining your skill set, and insight on getting started. Have you ever thought about being a VA? Would you like to know more? Let me know in the comments! 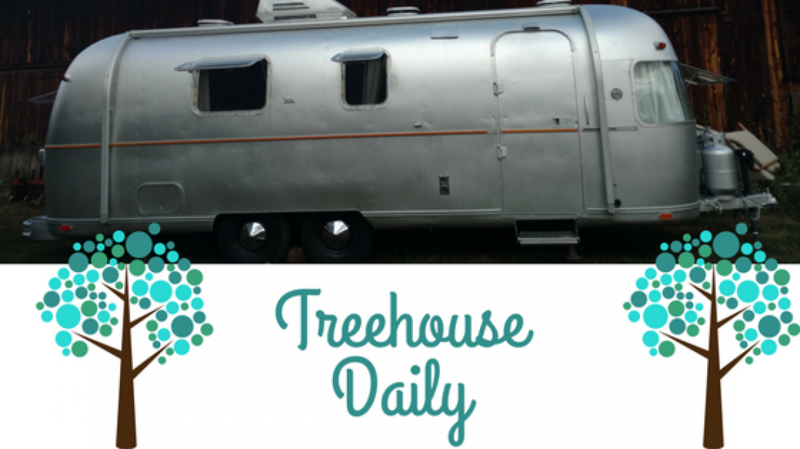 Previous postAirstream construction update- Demo Days!